Paying your child's tuition can increase your tax refund. 1. If You Receive a Pell Grant Do You Qualify for the American Opportunity Tax Credit? 2. Can a College Student Put Down a Tax Credit and Interest Deduction for College? The Internal Revenue Service offers a number to tax breaks for paying college tuition. To take advantage of any of the tax breaks for paying college tuition, you must claim the student as your dependent. However, you can't claim more than one tax break per student, not including the student loan interest deduction. The American Opportunity Tax Credit is generally the largest tax break to claim, if you and the student meet the eligibility requirements. The credit equals 100 percent of the first $2,000 of expenses and 25 percent of the next $2,000, for a maximum credit of $2,500. The student has to be in his first four years of post-secondary school, must be enrolled at least half time, pursuing a degree or other credential and can't have any felony drug convictions on his record. In addition, your modified adjusted gross income must fall below the annual limits. As of 2012, you can't claim the credit if your modified adjusted gross income exceeds $180,000 if you file a joint return or $90,000 if you file a single return. 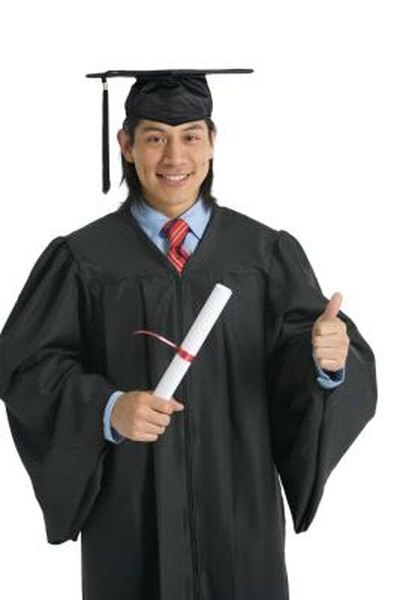 The lifetime learning credit offers a credit of 20 percent of up to $10,000 of tuition, for a maximum credit of $2,000. The requirements for the student aren't nearly as strict as the American Opportunity Tax Credit. The student can be enrolled in any number of classes -- or even just one -- and doesn't need to be pursuing a degree. However, the income limits are lower. For 2012, you can't claim any credit if your modified adjusted gross income exceeds $62,000 if you're single or $104,000 if you're filing a joint return. The tuition and fees deduction lets you write off up to $4,000 of college tuition -- your actual tax savings will depend on your income tax bracket. The higher your bracket, the greater your savings. As of 2012, you can't claim the deduction if your modified adjusted gross income exceeds $80,000 and you're single or $160,000 if you file a joint return. If you took out student loans to pay for tuition, you can also write off up to $2,500 of the interest on the loan. For a loan to qualify, the loan has to be taken out for a student you claimed as a dependent when you took out the loan. The student must be enrolled at least half-time in a degree program as well. For example, if you take out the loan to pay your daughter's tuition in 2012 when she is enrolled at least half-time in a degree program and you claim her as a dependent, you can deduct the interest each year in the future. However, your modified adjusted gross income must fall below the annual limits -- $150,000 for joint filers and $75,000 for single filers as of 2012. Charles Schwab: Taxes-What's New for 2012?